For those who prefer the standard Brutale MV Agusta has released the Hydrogen limited edition in association with Italian fashion jeans label, Hydrogen. 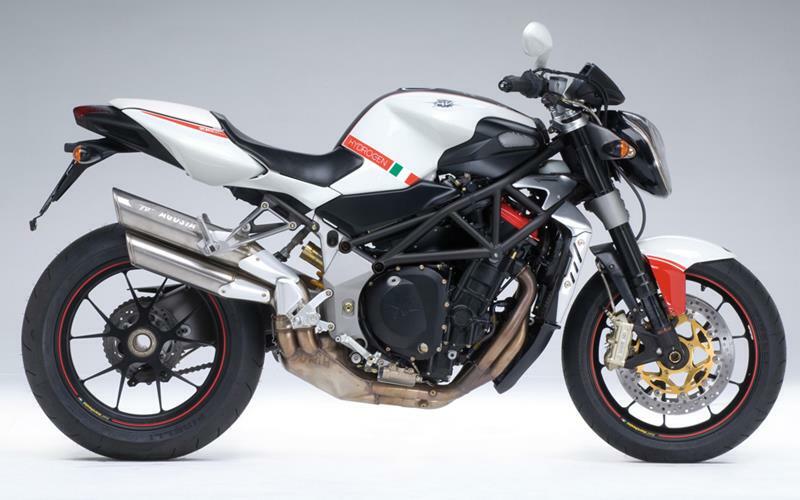 The machine is a mechanically stock 2007-spec MV Agusta Brutale 910R, but in the white/green/red/black corporate colours of Hydrogen. Only 100 will be built – speak to your local MV Agusta dealer for price and availability.